It’s been interesting to see the number of politicians, authorities and organisations that support the use of motorcycles as a mode of transport that doesn’t congest, is reliable and pollutes a lot less than any other motorised form of transport. On the other hand, there are a number of politicians, organisations and authorities that try to reduce the number of motorcycles on the roads and impose barriers to entry into the motorcycling world. 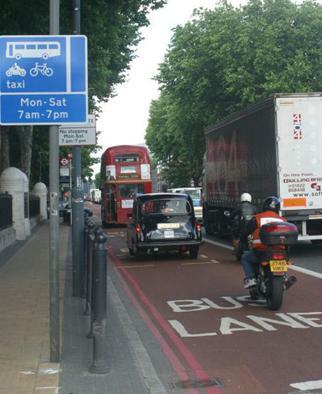 In the United Kingdom for instance, some politicians such as the current Conservative Mayor of London, Boris Johnson, have taken initiatives to encourage the use of motorcycles in the British capital and protect the safety of motorcyclists by opening bus lanes to them. While this is currently being done on a trial basis until the end of next month, we pretty much hope that the arrangement will be made permanent and that local councils throughout the UK will follow suit. This is to be compared with the previous London Mayor, Ken Livingstone from the Labour party, who refused to open bus lanes to motorcyclists by, as we are told, manipulating facts and figures to hide the many safety benefits that the use of bus lanes for motorcycles generates. This contributed to make Ken Livingstone lose his job at the last mayor elections with the help of the motorcycle community voting for Boris Johnson en masse. 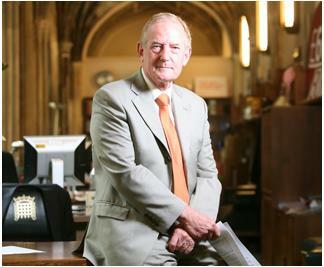 We have recently come across a member of the Labour party, Barry Sheerman, who explained that motorcycles should have no place in this world, and in fact, should be banned. “If you have a husband, boyfriend or son who wants to get a motorbike, please try and persuade them to get something with four wheels instead”, so says Barry Sheerman. Because, according to him, “the widow-makers and orphan-makers are the people who drive such vehicles and are killed. That is disgraceful in a civilised society”. This type of childish and simplistic comments make the blood of a motorcyclist boil, because statistically, there are four times more deaths resulting from car accidents every year than there are from motorcycle accidents, in the UK alone. So why is Barry Sheerman not trying to discourage the use of cars, which of course heavily contribute to the number of motorcycle fatal accidents? In fact, this is none of his business. Motorcyclists, or prospective motorcyclists, are all responsible adults and it is their lives that may be at risk, not his, so why does he not mind his own business instead of quoting non-sense? Anyway, there are a number of organisations that contribute to the promotion of motorcycle use. 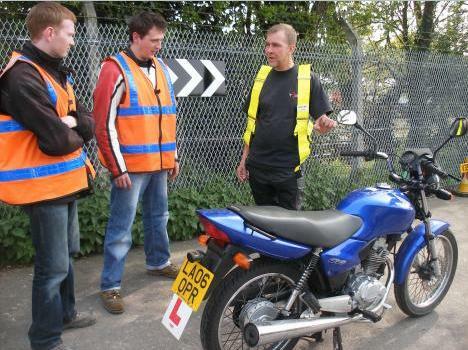 We have recently come across a UK based bike training company called Get On, that offers a free one-hour trial to all those interested in becoming users of powered two wheelers (PTW). What a great initiative! This is a fantastic example of an organisation keen to develop the use of motorbikes and scooters as a more environmentally friendly, reliable, cheaper, faster and less pollutant mode of transport. Have a look at their website and watch the video, they will give you a very good idea of what’s on offer, free of charge, if you’re a newbie. But the most anti-bike piece of legislation ever introduced in the UK is the parking tax imposed by Westminster City Council in Central London, despite 3,000+ objections lodged with the council twice in a row and monthly protests organised by the No To Bike Parking Tax campaign and gathering thousands of bikers. Councillor Chalkley has refused to listen to the public opinion and gone ahead with stealth taxing motorcyclists for parking, despite bikes being the solution to congestion issues in the British capital and, in fact, everywhere else. Westminster hates bikes so much that Chalkley is trying to discourage motorcyclists from entering Central London and make money from those who still do, by imposing a parking tax on them, while he continues to offer himself and his fellow colleagues the benefit of a free official parking permit for their polluting and congesting cars. Bikers in the UK are more keen than ever to fight against any individual or authority that dares to attack them in such a cynical way. 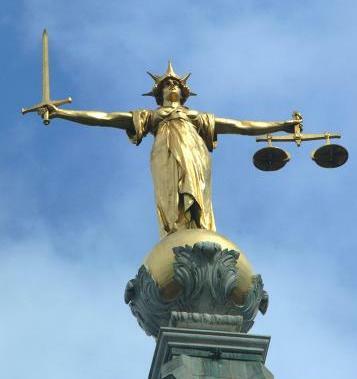 Westminster City Council will be facing the High Court of Justice on 24th June 2010 as a result of the No To Bike Parking Tax campaign lodging a case against them accusing the council to have introduced parking charges in a pure view to raising revenue, which is illegal in the UK. Bikers continue to gridlock Central London every week on Wednesdays, thus causing enormous traffic jams and delays for commuters trying to get to work during rush hour. We have heard that bikers are planning to gridlock Central London every day from June onwards if Councillor Chalkley doesn’t scrap the bike parking tax at his earliest opportunity. So it is clear that some organisations and politicians have a bike-friendly attitude while others don’t. It is the conflict between the two that makes bikers stuck in the middle and fight in one way or another. The bikers will eventually win the battle, because they will not leave these organisations and politicians alone until they obtain what they want from them. « 19th June 2010 – don’t miss the biggest ever motorcycle demonstration in Britain!